The Easy Peasies Extra Long Snap-in Boosters are super thirsty and trim. 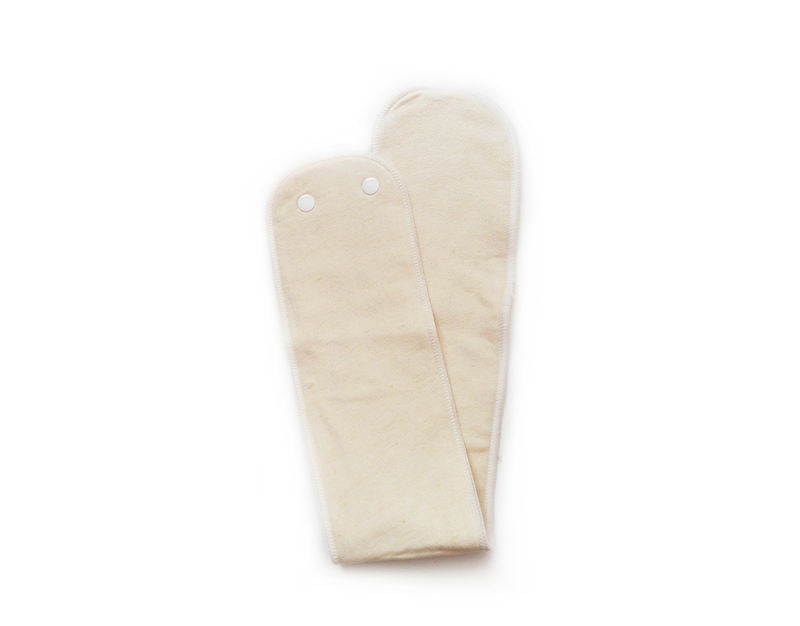 Each one replaces 2 traditional sized cloth diaper inserts. Fold in half and snap into your AIO system, or stuff into your pocket diapers for a simple to use, absorbent soaker. Bamboo- Three layers of Canadian milled bamboo fleece. When folded in half, you’ll have 6 layers of trim, thirsty bamboo. Hemp- While hemp requires more prepping, it does ultimately absorb more when its been washed enough. This makes hemp a number 1 go-to for many veteran cloth diapering families. By adding this booster to your Ready-Use all in one diaper system, you turn it into the Dry-Nights Bundle- offering up to 12 hours of wetness protection. Stitching colour may vary by batch.